IMPORTANT NOTE: We are temporarily OUT OF STOCK on this item. We did not expect this much demand. We expect to have them in stock in May 2019. Bumpers are often dented or distorted when they suffer a collision. 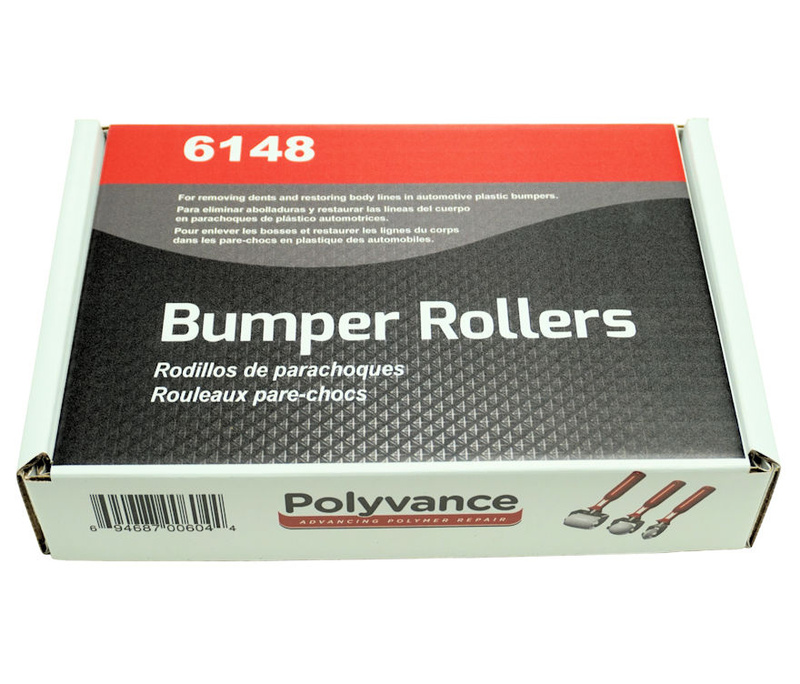 Polyvance’s 6148 Bumper Rollers Kit makes the dent removal process much easier. 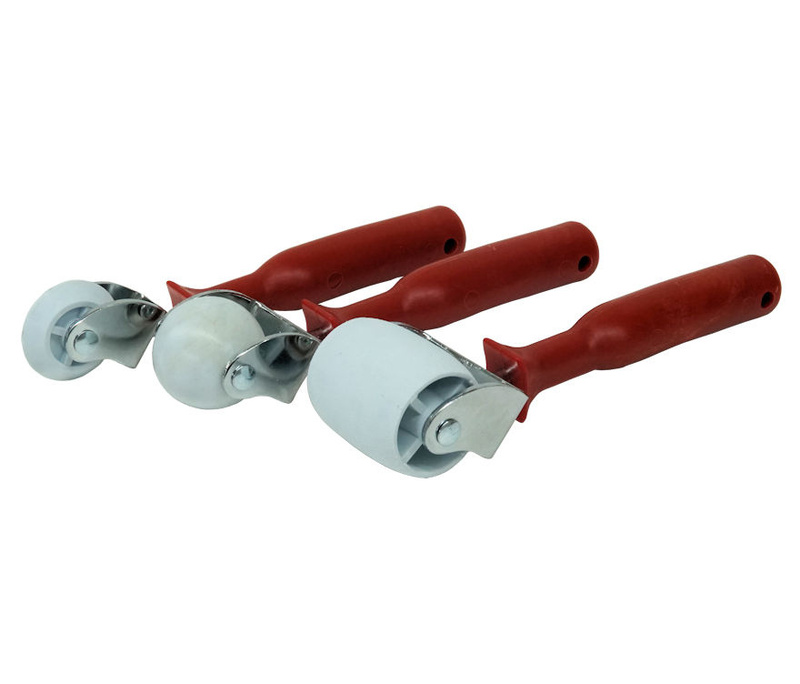 The Bumper Rollers kit consists of three heavy-duty rollers – one wide and flat, one ball-shaped, and one with a sharp edge which allows you to reshape body lines. To use the rollers, first heat the bumper with a heat gun to soften the plastic. Once the entire area is too hot to touch, begin pushing with the Bumper Rollers. 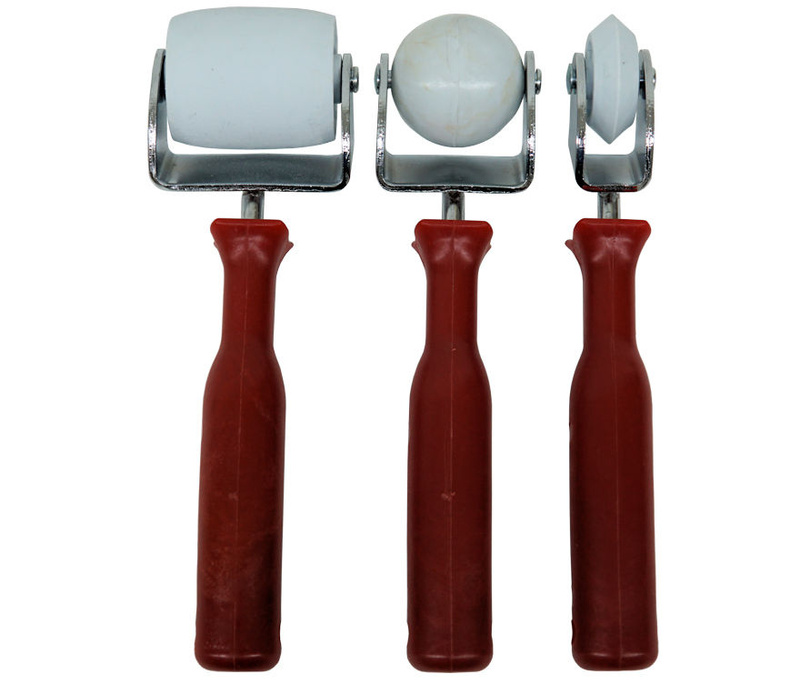 Use the different rollers to reestablish your body lines, and massage the distortions around the edges of the original dent where the plastic was stretched. You may also use the blunt end of the handle to push the dents as needed. After letting the plastic cool, sand the area with 80 grit in a DA sander to reveal any high and low spots. Heat the bumper if necessary, then continue to work the low spots up and the high spots down to get the profile back. In the end, you should be able to work the dent out with little to no filler. 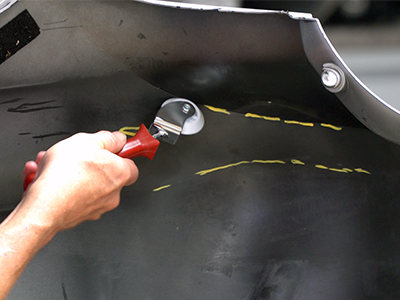 On sheet metal, use a paint pen to mark the location of the damage on the backside. Use the rollers to push out the dents and redefine the body lines. 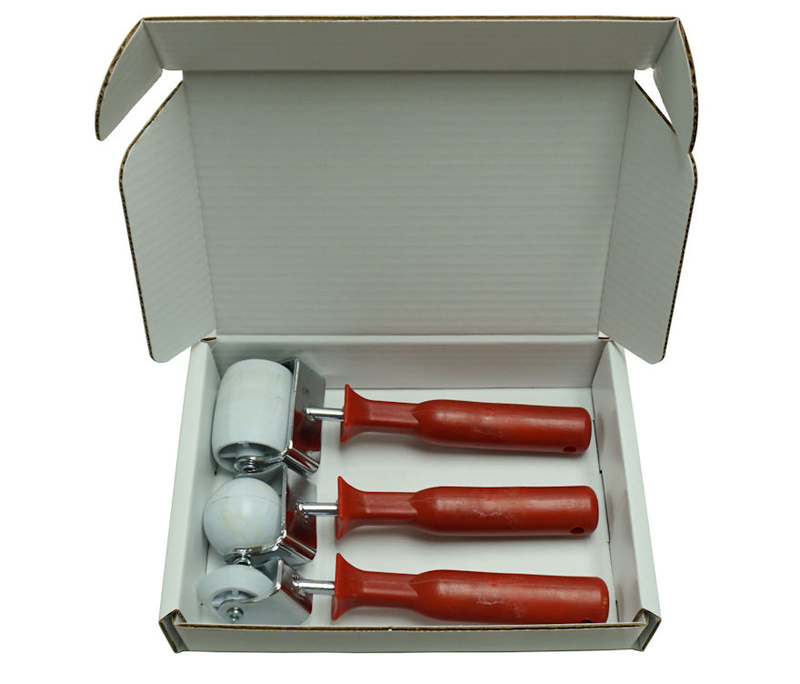 You can remove a majority of the dent faster and easier with the Bumper Rollers Kit than with a hammer and dolly. When pressing the adhesive sound deadening pad down into a trunk floor panel, use the different roller shapes to get into all of the corners and depressions of the panel. 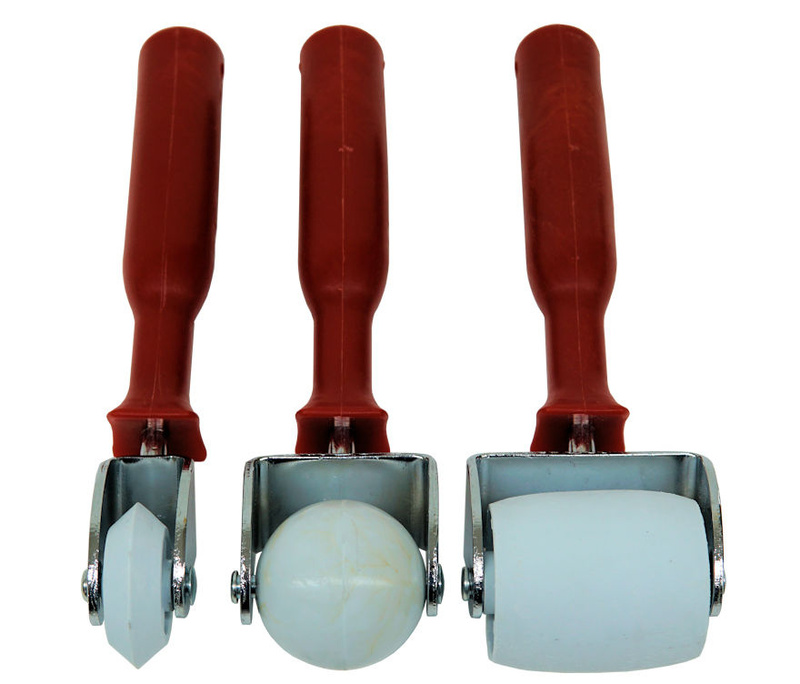 This allows you to press out all of the air bubbles and give you an OEM finished appearance. The Bumper Rollers Kit was recognized for its innovation at the 2018 SEMA Show where it received a Global Media Award.